I am a huge fan of the Stanley Rocket and the Wogglebug....in my opinion these turn of the century, upside-down canoe steam LSR cars are some of the coolest vehicles, both aesthetically and mechanically. I am seriously considering building a quasi-replica of one of these with a more modern, high performance steam system under the hood (hull?). Those guys had some serious cojones to attempt those speeds while in a vehicle that’s essentially on fire and made out of wood. No seat belts or safety harnesses, airbags or roll cages and with really lousy brakes....all this while driving on sand. So, How would you build your boiler? Yes that is a pretty interesting design. I too, thought about replicating one, but from a practicality standpoint and doing shows and giving rides etc, wouldn't be too practical. Would still be cool to just have and look at and drive occasionally. Yep, those guys had a pair Those early cars had tiller steering if I understand it correctly. 130 mph with coarse steering had to be pretty scary unless the did the steering geometry in such a way where there wasn't much throw on the steering knuckles, the way they do modern day dragsters. I would use an Ofeldt for a racer like that for the number of reasons aforementioned on this forum several times. With enough coil surface area and heat they will put out an enormous amount of steam for their footprint and the big advantage with them, they add reserve - hysteresis in the system allowing them to be controlled rather easily, even manually if one is not too forgetful. A properly built Ofeldt can have a working pressure easily in the 1500 psi range. 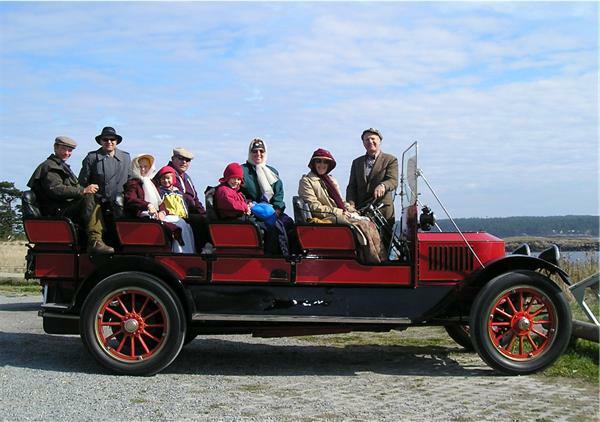 The Ofeldt in my Locomobile has a rating of 2400 psi working pressure. Edited 2 time(s). Last edit at 01/09/2019 12:50PM by IronChief. I would have to agree with Ron, you can’t go too wrong with an Ofeldt center drum boiler. I started fabricating a stainless steel tube boiler that uses Ofeldt type coils but instead of a single, large diameter drum it uses (7) 2” diameter stainless tubes tied together to achieve a similar volume....but with a fraction of the weight. 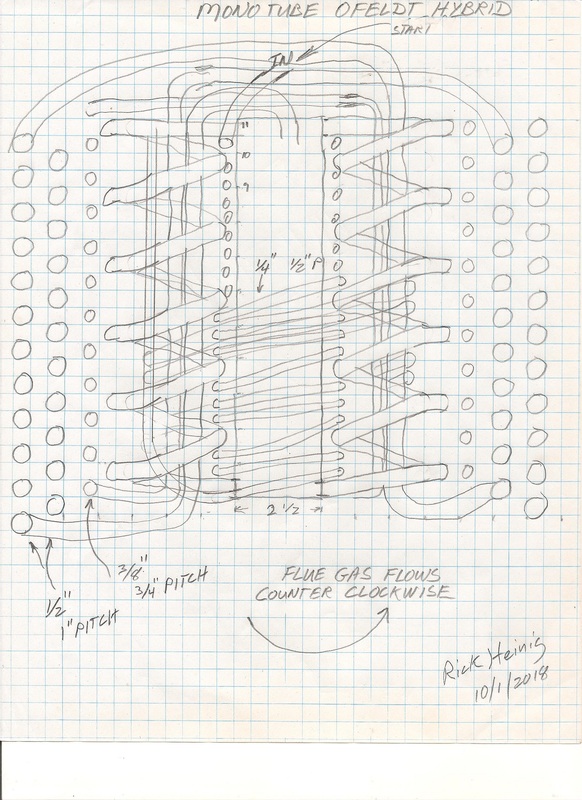 The coils are arranged in a straight line, like the marine version Ofeldt and similar to how Tony Grzyb does his boilers. I put the project on the back burner when I found a WW1 era steam engine that was pulled off a US Navy steamship...probably used for driving a blower of some sort. I’ve already installed it on the go kart and drove it around my yard some. 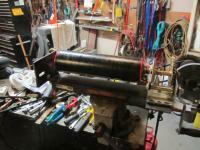 The boiler was working poorly and I am in the process of redesigning / rebuilding it using the same tubing, drum and shell. The new version is almost complete and test firings have shown a lot of potential. Post some pics when you get a chance. Another boiler like that is the Blackstaff boiler, instead of a vertical drum with manifolds, it used a horizontal drum above with downcomers and mud drums on the bottom like a Roberts/Herreshoff etc type - coils lined up in between instead of straight tubing. I too like the Blackstaff. A couple of pictures to show. The way Babcock & Willcox would describe this boiler is as a Water-tube Boiler. This is opossed to a Mono-tube Boiler. I guess we can classify our boilers into three (3) categories, Fire-tube, Water-tube and Mono-tube. However, we all classify the coils that are so successful in the Ofeldt as Ofeldt Coils. Ofeldt and Blackstaff are the water-tube type. Important note on the Ofeldt coil is that it works best with a 1-1/2 pitch for best natural circulation. 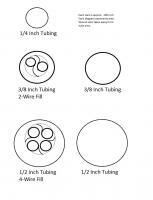 This is given the tube diameters 1/4, 3/8 and 1/2". Quote: "Important note on the Ofeldt coil is that it works best with a 1-1/2 pitch for best natural circulation." 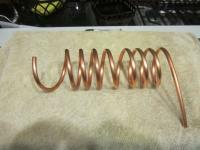 That is dependent on the diameter of the coil as well, larger coils will have less steep angular path upwards on that pitch. I looked at the Bolsover boiler a while back and that is an issue with it, progressively larger coils to the outside and increasingly shallow angular path upwards. About half of what the Ofeldt coil of 4" ID has. Having "been there and done that"-I agree completely with the previous mention about how those guys who did 120+MPH with tiller steering, minimal brakes, and very rudimentary tires...they had mucho huevos!! Marriot's goggles blew off once and he had to finish the run driving blind looking out the side!! 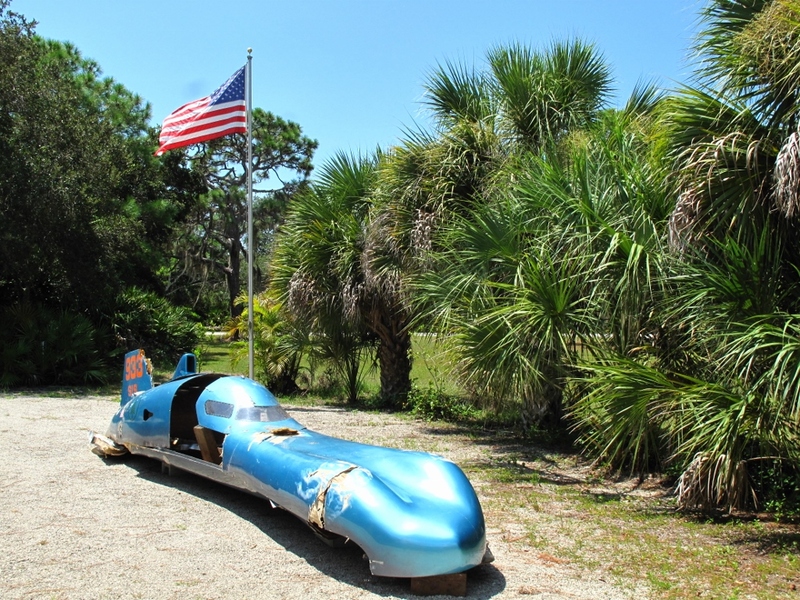 There is an existing replica of the Stanley Rocket that ran at the Stanley Centennial in 2006. It was built by a fella named Frost-I'm sure some of the readers here(Rolly?) could tell you much more about it than I can. I think it has a Stanley 20 HP for an engine. Of course, there is a more recent "vintage" LSR vehicle down in S Florida that looks somewhat bent and banged up.... LOL! I could tell a few tales about that one! We attended the 2006 Land speed record centennial with our 1916 Stanley Mt. Wagon. Set up with two boilers, our Mt. Wagon was raced in New York its first two years of its life. We worked on that particular replica Stanley Rocket for the 2006 Land speed centennial. Ron Hardwig and I Dip Lagged the boiler after Brent Campbell and others had finished doing the most of the plumbing. Ron and I also did some other installations, but working together, we got it running for the event. What the Stanley Rocket had in it was really a 10 HP type 6 engine and rear axle. It was really just a visual of the Stanley Rocket. 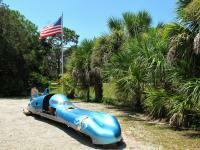 The replica Stanley Rocket ran OK, but it wasn't any speed demon. To be completely honest, the speed limit on the beach was something like 20 M.P.H., so there wasn't any opportunity to really open it up. You bring out a good point and after studying the Bolsover boiler (I like this design also), this lead me to this design. This is a hybrid concept, I think its been posted before. The logic is to use the low slope outer diameter coils as Mono-tube and the standard Ofeldt as natural circulation. I'm pretty sure this would work fairly well. The goal is to have a once-through boiler. Not sure if its obtainable. Also important to note, to have a drum (accumulator/buffer). That is a lot of tubing and a long way to the center drum. I can see it working, sight glass on the center drum, low reserve, increase the feedwater input etc. There is a guy in California that built an Ofeldt a few years ago and he added straight tubes that come out of the drum, straight up through the coils and back in to the center drum. Not sure of the significance because I don't think he tried it with and without those, but he did report, it makes a lot of steam, much more than the firetube it replaced. I think he used a Stanley type burner? don't remember, it's in a boat. Pretty sure you won't mind, I would like to offer up a response to Don? I can provide it back in the Doble thread, if you want. "So, How would you build your boiler? Ron gets me thinking and leads me to ideas like his reference to the Bolsover. I'll provide a response tonight, when home with access to my Tera-harddrive. 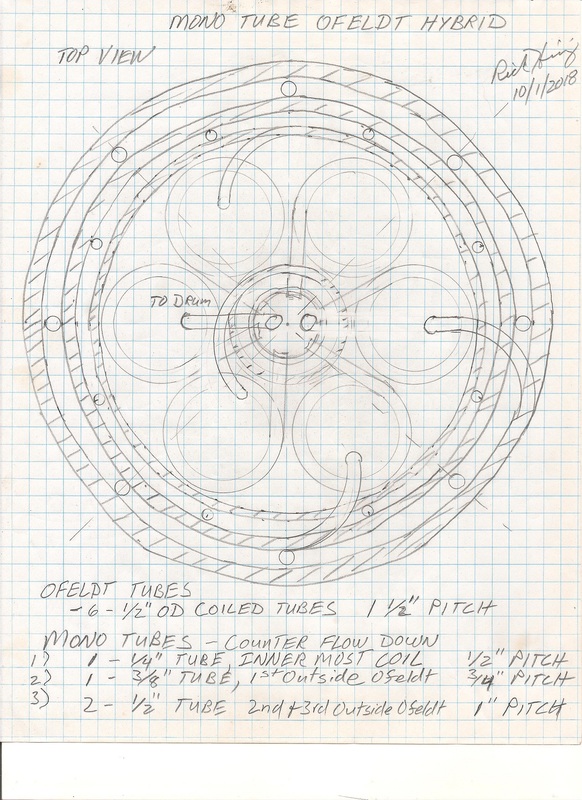 To trigger me on the thought, the thread will be about; increasing diameter sizes/wire fill, use of recirculation coils with a mono-tube and position of coils relative to burner along with burner configuration. After this explaination, I have been giving some thought how to build a boiler to produce super critical steam. Hope to provide that concept later. How I would build my boiler - part 1. I want to start with some concepts that I have been working on. 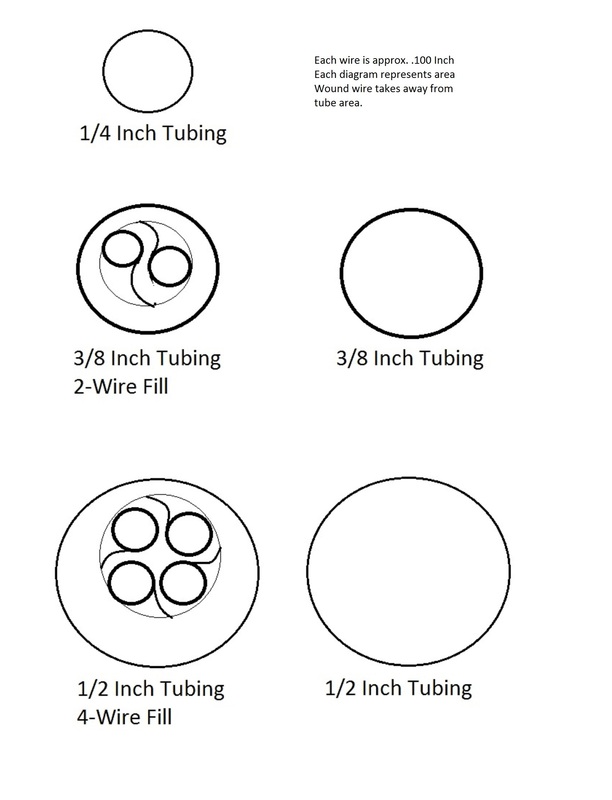 First is increasing tubing sizes. The thought is to wind coils with and without wire in them. 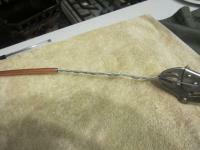 I experimented with winding wire using a drill w/eye bolt in the chuck. Take the loop end of wire and put it through the eye. 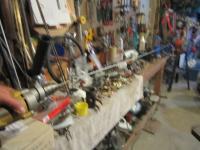 Then hold the other end in a vice (picture fuzzy...sorry). Spin the drill till you get a straight, tight spiral. I think 20 feet of tubing is doable to insert the spiral wire. The tubing needs to be straightened. Use the drill to then screw the wire into the tube. It goes in quite easily. The wire fill helps to prevent kinking. Then make your coils accordingly. 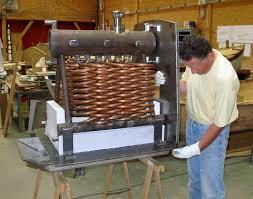 you will have 100' of mono-tube generating coil to an accumulator. Sorry, but what is the wire for? 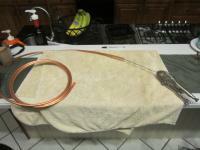 And what temperature / pressure can the copper tubing take? I am setting boiler control with a needle valve to adjust input water and a high temperature shutoff in series with a high pressure shutoff. So if either limit is reached the fire shuts off. For LSR a steady state can be maximized with the dyno. Could you please tell me how you are setting feed water with a needle valve. Is it a flow motor control? I am interested in steady state performance at different heat and flow levels so I can evaluate this thing. For now the water input from a 1200PSI pump will be controlled by hand manipulation. 2400 PSI, that has to be hot as hell. My engine is all aluminum, melts at 1250F, 50% strength at 600F. So, how do you use 2400psi steam? Slowly? Quote: "So, how do you use 2400psi steam? Slowly?" That is the Working Pressure rating of the boiler components. No it runs at 250 psi max. Quote: "So all that pressure is for storage"
No that is just the pressure rating of the components. My little car on 2400 psi would do a wheel stand taking off with that much pressure. The antique engines basically have a pressure limit per the design and what is logically needed for the vehicle performance they were after. Power plants routinely use steam pressure in these critical and super critical ranges to propel turbines, I think the upper ranges for a piston engine is around 1200psi, and not for very long as the heat breaks down just about any lubrication. Piston engines seem to run happy in the less than 500 psi range. The less, the better. Bolton and Watt pumping engines with 90 inch pistons are running on less than 10 psi (vacuum) and still operating 200 years later. Still not understanding what you're asking about 2400 psi being for "storage" A boiler is a generator, the whole interior could be considered storage, but that's not it's purpose. It is a generator for motive power. A drum of some sort incorporated in to the system is a good thing to have as it can tune the output to the demand. Steam Boats are pretty easy because the demand is typically continual, easy to control the feedwater, fire etc., the road vehicle on the other hand, the demand is continually changing, it's difficult to go from high demand generation to zero demand idle in a few seconds, that is where a drum of some sort can serve to tune the system for quickly changing demands. Serpolet and Maxim too I think were cutting in the right direction with the flash boiler, they went right to the root of the issue by omitting the throttle altogether and relying solely upon the fire and instant steam generation. As I understand it, in some of Serpolet's designs, the throttle was the fire just as it is with the modern day car. When we press on the gas pedal we are essentially controlling the fire in the cylinders. He did the same only it was controlling the fire in the burner. Building steam pressure in a boiler is meaningless, what matters is the ability to generate enough steam over time to satisfy the demand from the load on the expander (engine). 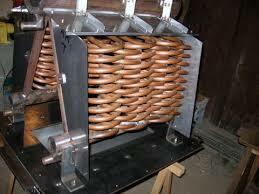 When I am on the start line for the LSR I want to build as much heat as possible in the boiler, don`t you think? Of course, but the steam generated above operating pressure has to go somewhere, so have a good relief valve and "top blow", just a valve to relieve steam being created and not used. Ron I am very impressed with your reply's, they are well thought out. so have a good relief valve and "top blow"
I am actually using a safety/relief at the highest point in my direct injection system. I'm using a feed-pump coupled to my engine. At this point I am matching the gear ratio by the #35 chain sprockets trying 3 different sprockets on the feed pump. The sprocket on the crank is as small as possible I think is 32, the pump sprocket sizes is 46, 44, and 38. I spent alot of time selecting the check-valve after the pump. Edited 3 time(s). Last edit at 01/17/2019 02:30PM by Jeremy Holmes. My control system shuts the fire off if the pressure or temperature get to high that is all I am using. I can write with utmost certainty that any sort of sanctioned race or public event is going to require a properly set working relief valve. That is just ASME boilerplate (no pun intended) code. My guess is you'll need to vent steam until you're ready to take off. As I alluded to earlier, for what you're wanting to do it is going to take a lot of fire (BTU's) and a generator with ample surface area to create the needed steam. In other words, it will need to be a beast of a system for it's size, I would be thinking along those lines and not drawing too much information from vehicles designed to go much slower. What works for that type of service may not work for the type of speed 150mph etc and sustained steam generation needed. that is why the Doble impressed me so much, Jay said he could do 60 MPH and keep 1000 PSI steam in a car almost 6000 lbs. So how hard would it be to go 150 mph in a 1500 lb car? My safety release is no more than 2800psi. When you are using direct hydraulic driven pressure the pulse needs to be overbuilt so that why the check valve has double the pressure. I have worked on systems that are at 2400 psi C25. active gas pressure. If you have worked on that gas pressure you wouldn't be throwing numbers like that. Incidentally all the test runs I do are not public. Behind closed doors only, with invitation only.